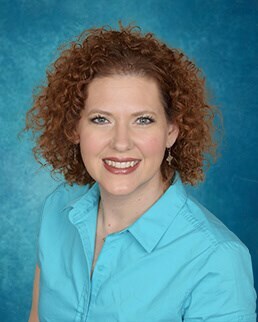 I am excited to be at Village Health Partners in McKinney as a Family Nurse Practitioner. I know at Village Health Partners I will have the tools I need to help my patients focus on the importance of their overall health. I believe health promotion and disease prevention are key as many chronic diseases can be avoided with simple prevention strategies. Village Health Partners has a team of committed providers that are making a difference in their patient’s lives, and I am very excited to be a part of that. I don’t have a traditional healthcare background. I started my professional career working in the accounting department of a market research firm in Dallas, Texas. After thirteen years, I decided to make a career change and return to school to become a registered nurse. I started my nursing career working as a registered nurse at a busy acute care pediatric clinic in the Dallas/Fort Worth area. For the past six years, I have worked in the Labor and Delivery department at a hospital in Plano, Texas. I completed my Bachelor of Science in Nursing from Grand Canyon University in August 2015. I most recently graduated from Texas A&M University where I obtained a Masters of Science in Nursing with a degree as a Family Nurse Practitioner. I’m also a member of Sigma Theta Tau International Nursing Honor Society. I am married and have three awesome children. My family loves outdoor activities such as fishing, camping, and skiing. We enjoy eating healthy family dinners and staying as active as possible.